Are you in need or emergency service for your East Greenwich, Rhode Island garage door? Garage doors don't always fail at convenient times. 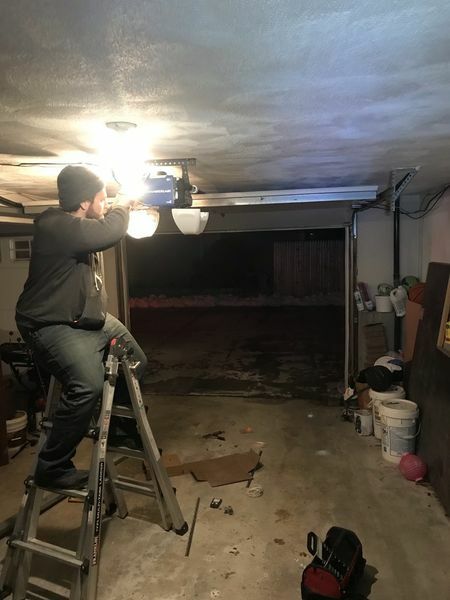 That's why Patriots Overhead LLC can provide you with 24/7 emergency garage door repair services in East Greenwich for your residential or commercial garage doors. The team at Patriots Overhead LLC is fully trained and well equipped to service both residential and commercial garage doors, no matter what style or brand of garage door it is. We understand mechanical failures are bound to occur, which is why Patriots Overhead LLC provides fast, reliable, top quality, same day East Greenwich emergency garage door services at a fair price. We want to minimize the disruption in your daily routine as fast as we can. Why Patriots Overhead LLC when you need emergency service for your East Greenwich garage door? When you're looking for emergency garage door repair services in East Greenwich, Rhode Island, call Patriots Overhead LLC, the leader in residential and commercial garage door services.